a ska loving geek: My heart..
Firstly, apologies for the terrible light. Its a grey day out there. Secondly, look! 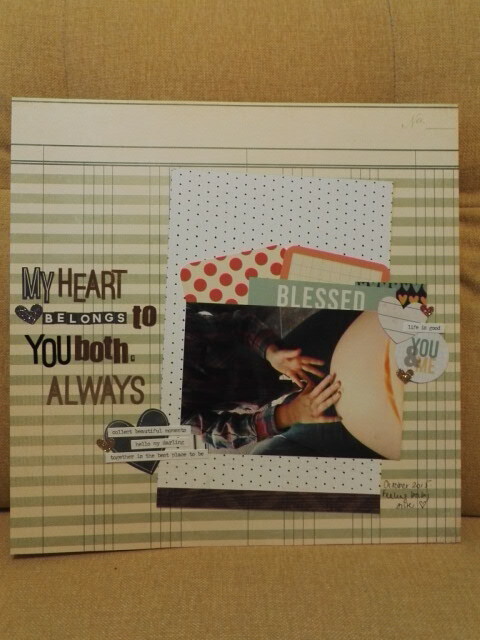 I managed to work out how to scrapbook with a huge baby bump. And about the bump no less! It seems lap is the way to go. I used bits and pieces from my Quirky Kit Lite, both recent and older, as well as adding project life cards and some stickers from Paperchase.